Understand the big changes in modern distros. 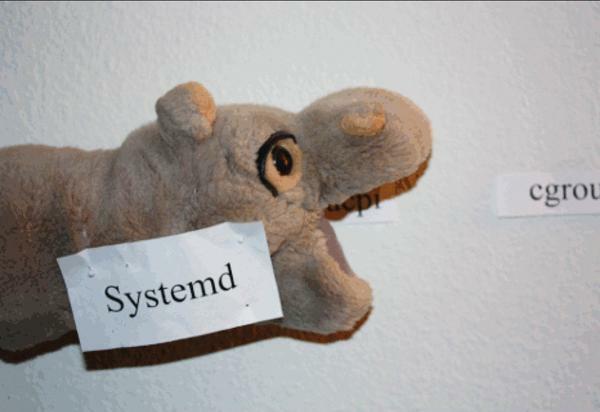 See how Systemd replaces SysVinit. Get to grips with units and the new journal. Hate mail, personal insults, death threats – Lennart Poettering, the author of Systemd, is used to receiving these. The Red Hat employee recently ranted on Google+ about the nature of the FOSS community (http://tinyurl.com/poorlennart), lamenting that it’s “quite a sick place to be in”. In particular, he points to Linus Torvalds’s highly acerbic mailing list posts, and accuses the kernel head honcho of setting the tone of online discussion, making personal attacks and derogatory comments the norm. But why has Poettering received so much hate? Why does a man who simply develops open source software have to tolerate this amount of anger? Well, the answer lies in the importance of his software. 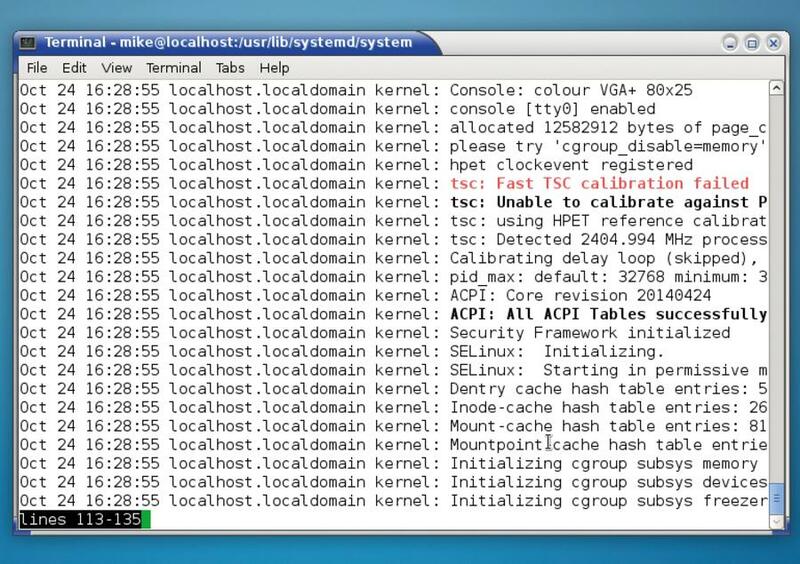 Systemd is the first thing launched by the Linux kernel on most distributions now, and it serves many roles. It starts system services, handles logins, executes tasks at specified intervals, and much more. It’s growing all the time, and becoming something of a “base system” for Linux – providing all the plumbing tools needed to boot and maintain a distro. Now, Systemd is controversial for various reasons: it eschews some established Unix conventions, such as plain text log files. It’s seen as a “monolithic” project trying to take over everything else. And it’s a major change to the underpinnings of our OS. Yet almost every major distribution has adopted it (or is about to), so it’s here to stay. And there are benefits: faster booting, easier management of services that depend on one another, and powerful and secure logging facilities too. So in this tutorial we’ll explore Systemd’s features, and show you how to get the most out of them. Even if you’re not a fan of the software right now, hopefully at least you’ll feel more comfortable with it by the end. 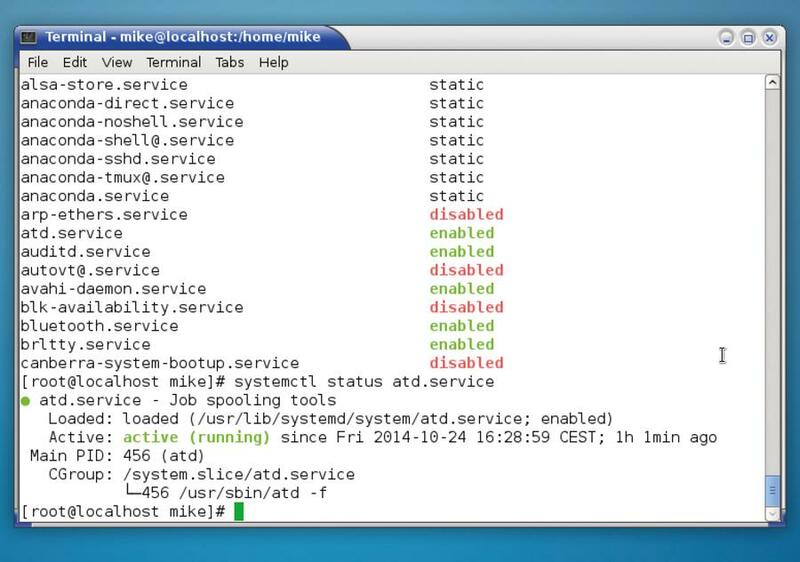 This tongue-in-cheek animation at http://tinyurl.com/m2e7mv8 portrays Systemd as a rabid animal eating everything in its path. Most critics haven’t been so fluffy. Almost every major distro has either adopted Systemd, or will do so in the next release (Debian and Ubuntu). In this tutorial we’re using a pre-release of Fedora 21 – a distro that has been a great testing ground for Systemd – but the commands and notes should be the same regardless of your distro. That’s one of the plus points of Systemd: it obviates many of the tiny, niggling differences between distros. This provides lots of useful information: a human-readable description of the service, the location of the unit configuration file, when it was started, its PID, and the CGroups to which it belongs (these limit resource consumption for groups of processes). If you look at the unit config file in /usr/lib/systemd/system/gdm.service, you’ll see various options, including the binary to be started (ExecStart), what it conflicts with (ie which units can’t be active at the same time), and what needs to be started before this unit can be activated (the “After” line). Some units have additional dependency options, such as “Requires” (mandatory dependencies) and “Wants” (optional). When you activate gdm.service, you will also be able to view its status using systemctl status display-manager.service. This is useful when you know there’s a display manager running, and you want to do something with it, but you don’t care whether it’s GDM, KDM, XDM or any of the others. 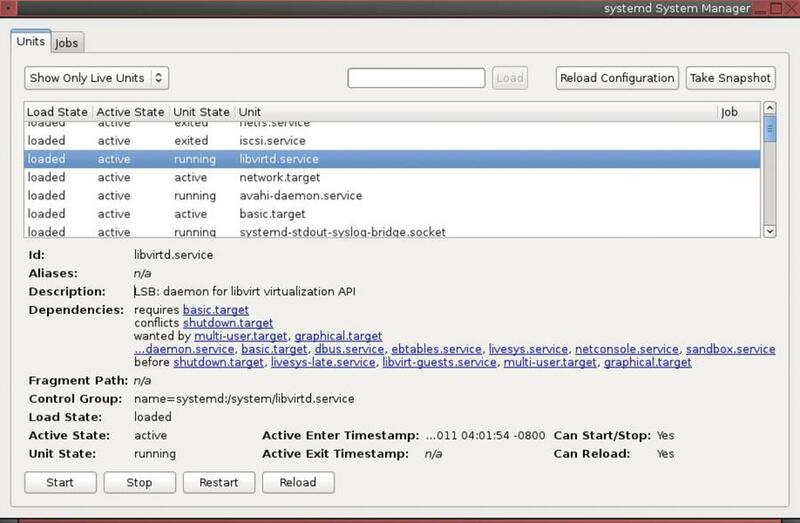 Use systemctl status, followed by a unit name, to see what’s going on with a service. In many ways, these are like SysVinit runlevels, with text-mode multi-user.target being runlevel 3, graphical.target being runlevel 5, reboot.target being runlevel 6, and so forth. The unit configuration files might look foreign compared to traditional scripts, but they’re not hard to grasp. Two more useful commands are systemctl restart and systemctl reload, followed by unit names. The second asks the unit to reload its configuration file. Systemd is – for the most part – very well documented, so look at the manual page (man systemctl) for details on every command. Beyond system initialisation and service management, Systemd has its fingers in various other pies too. Notably, it can perform the job of cron, arguably with more flexibility (and an easier to read syntax). Cron is the program that performs jobs at regular intervals – such as cleaning up temporary files, refreshing caches and so forth. Here, the OnBootSec option tells Systemd to activate the unit 1 hour after the system has booted. Then the second option means: activate the unit once a week after that. There’s a huge amount of flexibility in the times that you can set – enter man systemd.time for a full list. Also, the WakeSystem option (which can be set to true or false) defines whether or not the timer should wake up the machine if it’s in suspend mode. 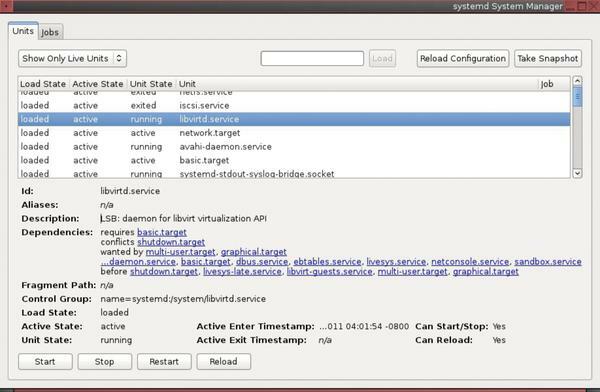 A Systemd GUI exists,although it hasn’t been actively worked on for a couple of years. The second major component of Systemd is the journal. This is a logging system, similar to syslog, but with some major differences. And if you’re a fan of the Unix way, prepare for your blood to boil: it’s a binary log, so you can’t just parse it using your regular command line text tools. This design decision regularly whips up heated debates on the net, but it has some benefits too. For instance, logs can be more structured, with better metadata, so it’s easier to filter out information based on executable name, PID, time and so forth. As with many other Systemd commands, this pipes the output into the less program, so you can scroll down by hitting space, use / (forward slash) to search, and other familiar keybindings. You’ll also notice a sprinkling of colour here too, with warnings and failure messages in red. Even if you deplore binary logs, that’s still a useful feature, and for many admins it’s much easier than constructing a similar filter from regular expressions. (Note: that’s a good way to see the log generated by the X server.) Or how about a specific PID? If you want to narrow down to messages of a certain priority, use the -p option. With 0 this will only show emergency messages (ie it’s time to start praying to $DEITY), whereas 7 will show absolutely everything, including debugging messages. See the manual page (man journalctl) for more details on the priority levels. 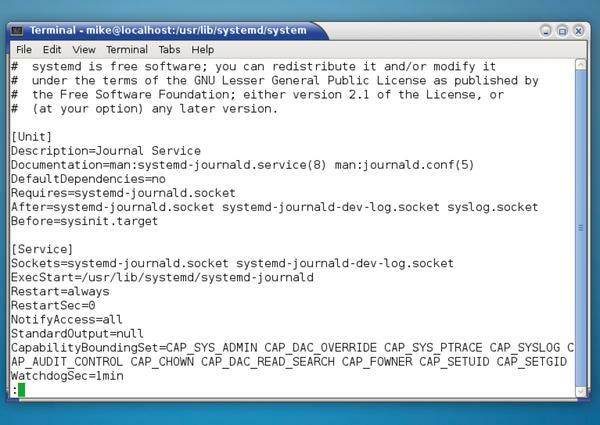 Finally, if you just want to have a terminal window open, constantly updating with the latest journal entries, as you’d have with the tail command in pre-Systemd installations, just enter journalctl -f.
Binary logging isn’t popular, but the journal has some benefits, like very easy filtering of information. If you simply, absolutely can’t get on with Systemd, you still have a few choices among the major distributions. Most notably, Slackware, the longest-running distro, hasn’t made the switch yet – but its lead developer hasn’t ruled it out for the future. A few small-name distros are also holding out with SysVinit as well. But how long will this last? Gnome is becoming increasingly dependent on Systemd, and the other major desktop environments could follow suit. This is a cause of consternation in the BSD communities, as Systemd is heavily tied to Linux kernel features, so the desktops are becoming less portable, in a way. A half-way-house solution might arrive in the form of Uselessd (http://uselessd.darknedgy.net), which is a stripped-down version of Systemd that purely focuses on launching and supervising processes, without consuming the whole base system. 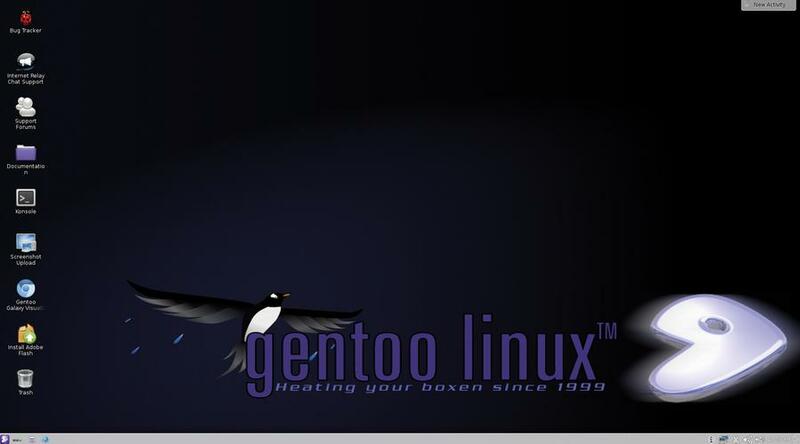 If you don’t like Sysytemd, try Gentoo, which has it as a choice of init system, but doesn’t force it on its users. From Linux Voice issue 10. Click here to subscribe for more top-quality Linux learning every month!